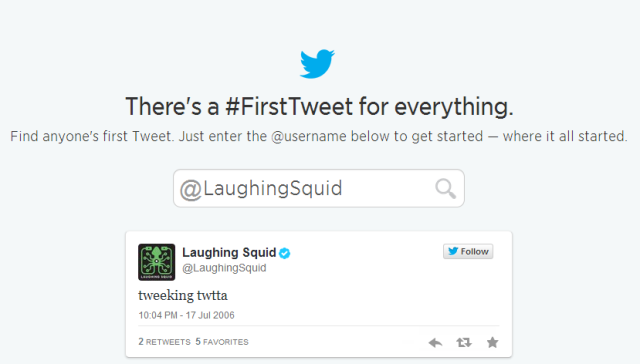 Twitter has released a tool that allows users to easily look up the first tweet from any account in celebration of the social network’s 8th anniversary. The service was originally created in March 2006 and launched in June the same year. Twitter’s blog post about the tool release and anniversary explains their reasoning behind creating it in greater detail. is reluctantly setting up a Twitter account. I blame Klein.